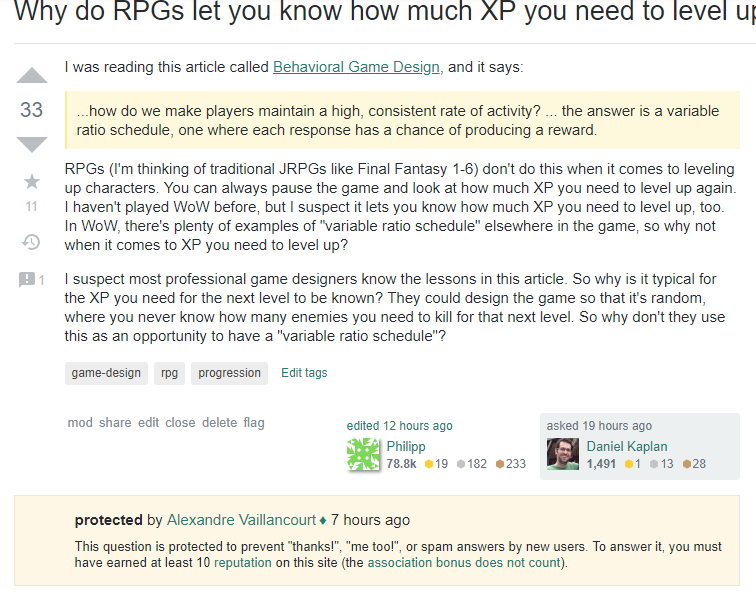 I wanted to answer this question: Why do RPGs let you know how much XP you need to level up? . I suspect it's protected or closed or something like that, but there is no notice about that, like it would be on other stacks. Is this intended, and if so... why? I found this Protection banner missing when I don't have enough rep to answer; closed and locked banners appear in wrong spot, so it seems it's not specific to this stack, but a sidewide problem. 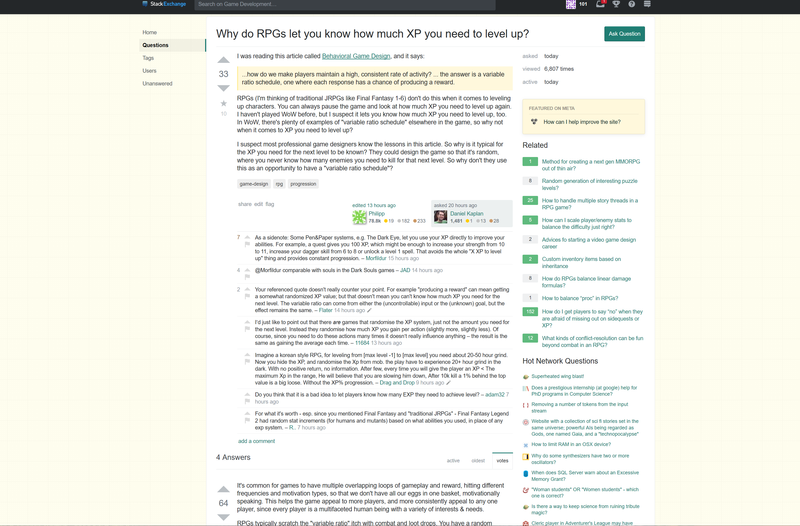 It seems the intended behaviour is to show protected at the bottom where the answerbox is to user that have not enough rep, and show it at the top to users who have enough rep. For some reason, it doesn't show at all. Questions are generally protected when they become popular and as a result start to attract low-quality responses (such as commentary posted as answers or spam). It's arguable that it should also be displayed in some form by the answer box. It certainly seems like it would be useful for questions with a long answer list. But I don't think other SE sites do that? If I'm wrong, that's unfortunately not something we can fix without SE's intervention. Not the answer you're looking for? 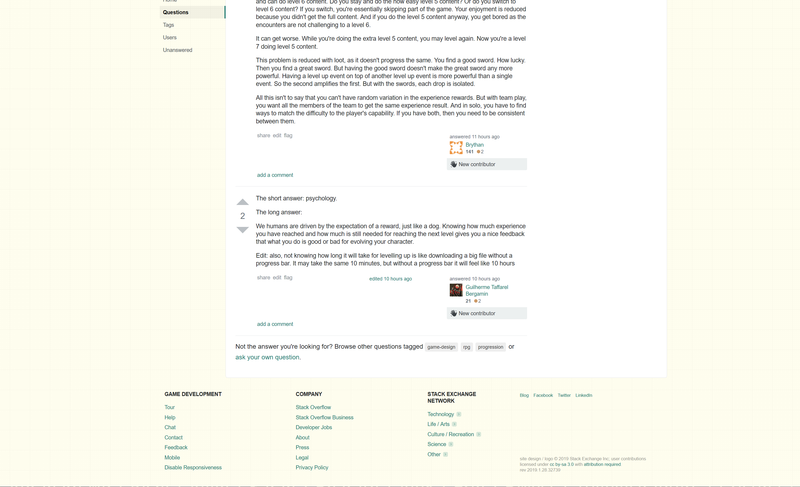 Browse other questions tagged bug status-completed new-users protected-questions . Why can I not link directly to FAQ anchors? “You may award your bounty in 23 hours”?